IBPS Clerk Admit Card Download: Hi friends are you searching for the IBPS Clerk VII Admit Card 2017. Here at the end of the post we are providing the Official link to download the Clerk 2017 call letter. Institute of Banking Personal Selection Board has conducted the Online Computer based written test for the clerk 2017 prelims examination on the dates 02, 03, 09 and 10th December 2017. At Different Examination centers across all over in India. Huge number of Candidates are preparing for these IBPS Clerk 2017 Prelims and Mains Examination. Here we are providing clerk VII Hall Ticket Link download. Now a day’s maximum number of candidates are preparing for the government sector banking exams. All banks are formed for recruitment all types of jobs like as Clerk, PO, and Specialist Officers join in the group by Institute of Banking Personal Selection. This year 2017 IBPS has Announced the 7th Clerk 2017 notification national wide. 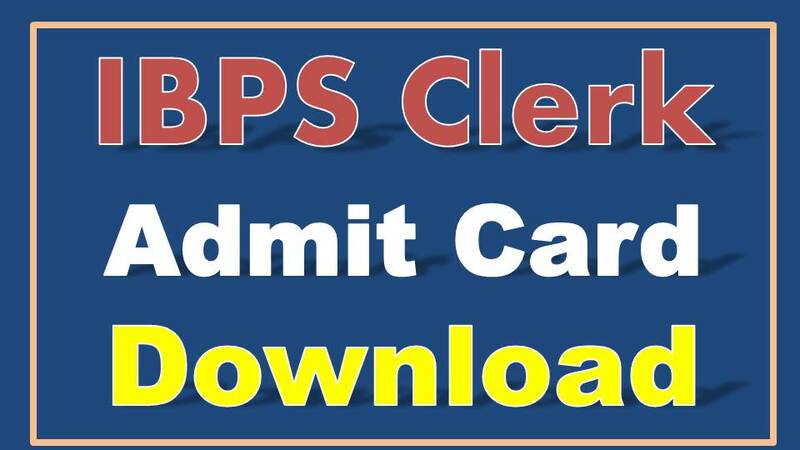 IBPS Clerk Prelims Exams started from the 02nd December 2017 to 10th December 2017. IBPS Prelims exam conducted by the Computer Based Test (CBT). Below give the official links download the Clerk Prelims admit Card 2017. In Preliminary CBT exam having Total 100 questions. Each question carries the 1 mark. Total 60 minutes time duration. Candidate each Question stays in 36 seconds. Best preparation tips are enclosed below. Don’t waste your time while you’re in Examination Hall for a single question. If you have time waste on a single you losses the time for attempt so many numbers of questions.